When Apple announced the new iPad, many of us got what we had hoped for: a new Retina display, more horsepower under the hood, and 4G connectivity. What we didn't expect was a "built from the ground up" iPhoto app that runs on both iPad 2 and the new iPad. 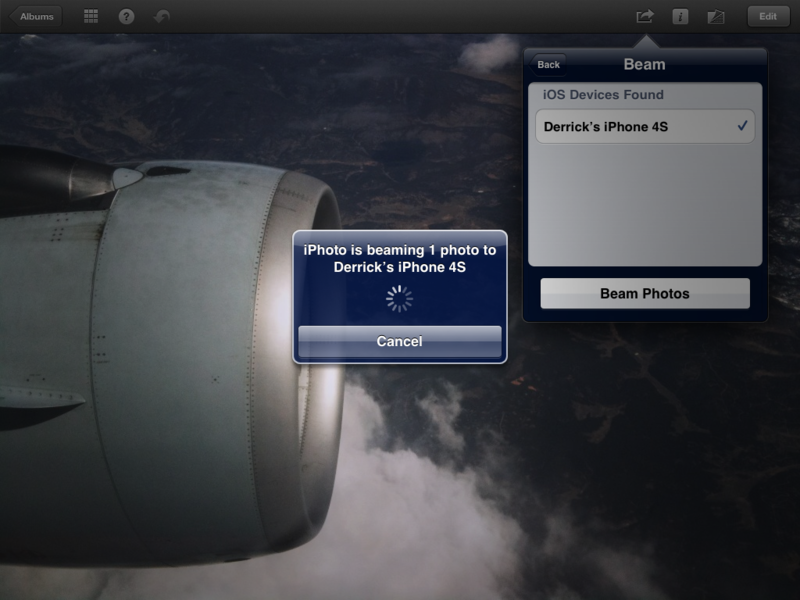 In many ways, iPhoto fills a gap in the nimble photographer workflow. In this week's podcast, I cover the new iPad, then dig into iPhoto to explain its capabilities and how it can help shooters on the go. Great podcast as always Derrick. Can't wait for my "new" iPad tow arrive so I can give it a go. I'm curious if you have any thoughts on what happens next. Once you're back at your computer is there any special synching to move your photos and edits to either iPhoto or Aperture? 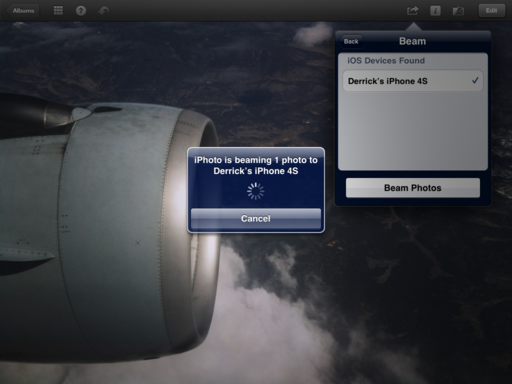 An easy way to connect the workflows, Sean, is to use Photo Stream, which can be read by either Aperture or iPhoto. Just save your edited images in iPhoto for iOS to the Camera Roll, and they will then appear in your Photo Stream when you can easily incorporate them into your Mac workflow. Sounds like the new iPad is getting really close to being able to be a primary computer. Given limited funds, however, my cash is going this year towards a new laptop (11" MacBook Air when the next revision is released + external monitor, most likely). But the main reason why I'm going for the laptop this year instead of the iPad is because of photo editing needs. If it wasn't for that, I'd absolutely be on the iPad this year. I know... darn budget constraints. I'm in the same boat. Since I have an iPad 2, going to use my computer budget for 2012 on a new MB Air when released. The iPad 2 is definitely good enough for another 12-18 months. Derrick what do you think about a workflow incorporating the EYE-FI card product for a wireless transmission to the iPad. That was what i was hoping to do with the new 5dMKIII. CF card for the raw images, the EYE-FI for jpeg review for friends and also the built in GPS features...until I saw the price....gonna have to wait. A lot of balls by Canon to price this rig above the new Nikon. Great podcast as usual. Hi Terrell, yes, the Eye-Fi card to the iPad works pretty well. I use it with my SD card cameras, such as the 60D and the PENs. I like ShutterSnitch for wireless transfer a bit better than the Eye-Fi app. But they both get it done.